Why Consider Student Loan Refinancing? About 70 percent of college students are graduating with student loan debt these days. If you’re one of them, it’s well worth your time to consider refinancing. Refinancing sounds like a long and complicated process, but it’s actually pretty easy. 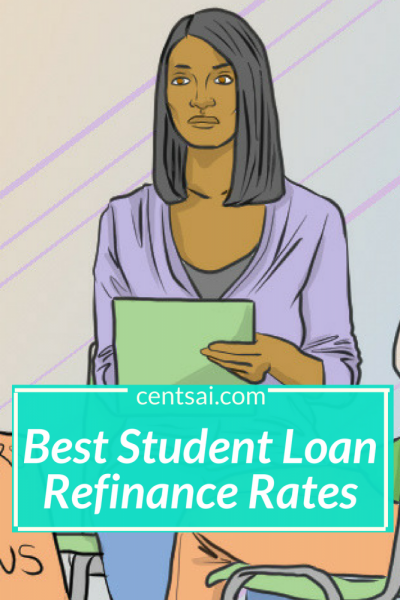 How do you find out what the best student loan refinance rates are? Basically, if you’re approved, a refinancing company will pay off your old loan and give you a new loan at a lower interest rate. There are a lot of benefits to refinancing. You can get a lower monthly payment, for one. And the reduced interest rate can save you thousands of dollars over the life of your loan – especially if you refinance early on in your repayment. Some companies even offer special benefits to their customers, such as unemployment protection programs. You generally need to have good or excellent credit in order to refinance your student loans, but it doesn’t hurt to check your eligibility and the companies’ rates – it’s free, and you could potentially save thousands. So round up your student loan information and get started!